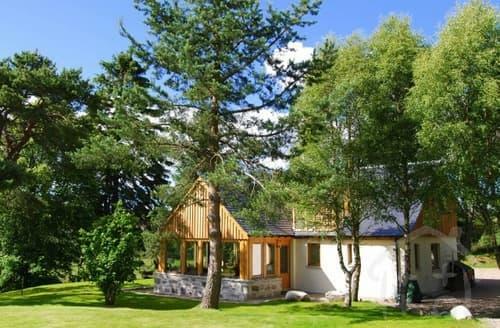 Last minute cottages in or near the Cairngorms. Self catering properties in Aberdeenshire, Angus, Highlands, Moray or Perth and Kinross that lie in the National Park. Cairngorms National Park is the largest of the current 15 National Parks in Great Britain stretching from Grantown to Braemar and Aviemore to the Spittal of Glenshee. A beautiful wild and remote area of the Highlands of Scotland harbouring 40 Munroes (mountains over 3000ft) and the 4000ft+ Cairngorm mountain range popular with climbers and winter sports enthusiasts. Unique flora and fauna abounds in this alpine like moorland habitat, including Grouse, Ptarmigan, Snowy Owl, Red Squirrels and on Cairn Gorm the only wild herd of reindeer in the British Isles. The Cairngorms are home to gentler pursuits: Highland Games at Braemar, Newtonmore Tomintoul and Abernethy; game hunting, shooting and salmon fishing on the River Dee and River Spey. The Cairngorms are scenic backdrops to 12 delightful golf courses. Kingussie offers stunning views and traditional charm whilst Braemar is the highest 18 hole course in Britain at 1200ft. Nestling amongst the magnificent scenery of Royal Deeside, near Lochnagar, is the Balmoral Estate, the Scottish Home of the Royal Family. Tours are possible in the winter. 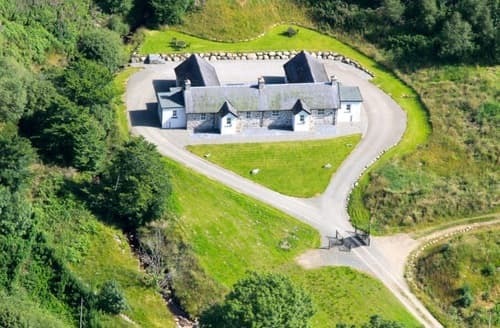 Three charming self catering properties in a stunning Highland location, half a mile from the village of Laggan in the Cairngorms National Park. Magnificent scenery, rich in wildlife and with plenty of outdoor activities nearby.